The boss of the Republic's Department of Foreign Affairs has apologised for delays in the passport service that have seen some applications take up to two months to process. The Department's secretary general Niall Burgess told the Dail's Public Accounts Committee (PAC) that there has been an "unprecedented demand" for passports. And he said that while some online applications can be processed within days, there are issues with the Passport Express postal service. This is particularly the case for first-time applicants and those whose passport have been stolen or lost. Mr Burgess said passport office staff take pride in what they do and the delays are a "matter of intense frustration for us". He acknowledged that the office has been unable to answer all the phone calls it gets from applicants who are concerned they won't get their passports in time to travel and conceded that customers are "even more" frustrated than staff. "The phone service is not what it should be at present and I apologise for that," he said. Mr Burgess said he believes that the passport office will be meeting its targets by next month. He said the Garda vetting process for temporary staff joining the passport service took longer than previous years and contributed to the delays. PAC chairman Sean Fleming quoted figures provided to TDs that showed that around half of the 100,000 Passport Express applications this year failed to meet the 21-day target for processing and pointed out that 22,000 took up to two months. Mr Fleming described Passport Express as "the slow lane" as opposed to the online process that allows adults to renew their passports where 90% are completed within 10 days. He said people should be encouraged to use the online system if they are eligible and Mr Burgess agreed. Social Democrats TD Catherine Murphy said she was aware of a number of people whose travel plans have been affected by the passport delays including one person who missed a wedding abroad. Mr Burgess said that the passport office isn't aware of any applicants that missed a flight due to the delays and that it always tries to process such applications. He said that there have been more applications due to Brexit but this is not the major part of the increased demand that's being experienced. "The greater part of the increase has to do simply with the fact that more people are traveling and applying for passports," he said. 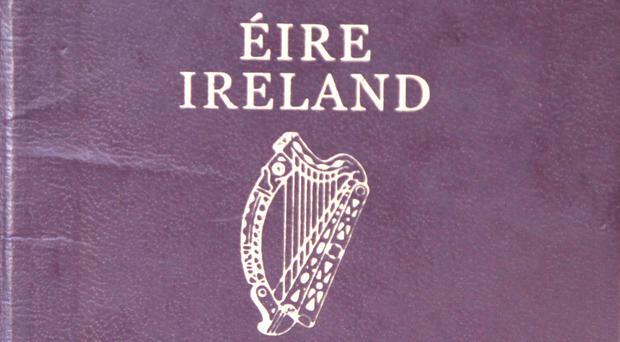 However, at the end of May, the Department of Foreign Affairs said Brexit had "undoubtedly" contributed to a 25% rise in applications for Irish passports. "The increase in the volume of applications is undoubtedly in part influenced by Brexit-related demand, with around 10 per cent of all applications this year from applicants living in Great Britain," the department said. "However, there are also other drivers of demand, including a trend towards early renewal of passports, a growth in outbound travel, and a growing population."